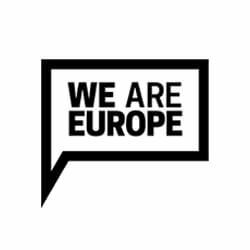 We Are Europe was formed by a group of friends – including our CEO Rosie Warin – to increase the number of young people voting remain for the UK’s Brexit vote. With just 9 weeks till polling day and on a tight budget, we helped develop the strategic approach, brand, campaign structure and tactical content – then delivered on chosen tactics that needed amplification. These including the globally viral Kiss of Death mural (pictured) and the #Don’tF**kMyFuture videos with Keira Knightly and Lily Cole. We also ran the campaign press office, influencing campaign donors and building credibility. Of course, the vote didn’t go our way, but we know we had a significant impact on voting behaviour. We achieved over 190 pieces of coverage reaching 79 million UK adults, and the ‘Kiss of Death’ was seen by 8.6m under 35s, with 43% saying it had encouraged them to vote remain. Only 32% of young people were predicted to vote in the referendum, but a record breaking 68% turned up. The campaign won silver for Best Use of Content at PR Week Awards 2016 and won The Drum’s “Marketing Can Change the World” Best PR Strategy Award. 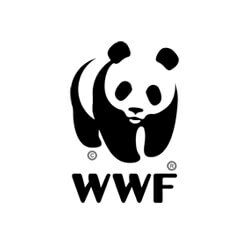 With Earth Hour’s 10 year anniversary fast approaching, WWF was under pressure to do something bigger and better than ever before. So far they’d focused communications on being ‘everything to everyone’ – great for reach, but not for increasing supporters and fundraising. We ran a series of creative workshops aimed at re-inspiring internal teams and drawing out lots of exciting, audience-centered ideas to take Earth Hour’s communications to the next level. The ideas were refined and grouped under specific audience insights, before forming a communications strategy under one core concept. 40 members of staff, across 7+ departments attended, with over 80 new ideas generated. The sessions were rated and more than half scored them 9 or 10. The overall result was a communications strategy developed and agreed by the board, and lots of people beyond the project team excited to deliver the plans for Earth Hour 2017. Amidst a changing and increasingly competitive political and media landscape, WWF realised they needed to strengthen their position of advocacy on the issues they stand for. They had a sense of where they were going wrong and what needed to be corrected, but lacked the evidence and external insights to ensure their strategy was truly game-changing for the organisation. In a short timeframe, we developed a highly detailed, in-depth SWOT analysis of WWF’s position in the media against a backdrop of topics and competitors. Taking evidence from numerous media and social media analysis tools, and providing insightful commentary throughout, we went above and beyond ensuring the insights directly fed into the organisations’ long-term strategy. The end result was a robust, 75 page SWOT report that has influenced every part of WWF’s advocacy communications strategy moving forwards. 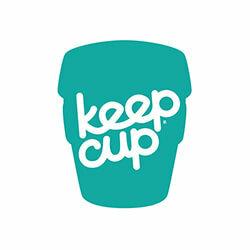 Amidst a backdrop of rising media attention around the environmental issues associated with disposable coffee cups, KeepCup, a reusable coffee cup producer, needed to raise awareness of its stylish range of products in order to drive the reuse mindset amongst consumers. Reacting quickly to the news agenda, we capitalised on the attention around Hugh’s War on Waste campaign, contacting comment opportunities and high profile product placement slots across the national, long lead and digital media with new product information, unique environmental USPs and timely hooks. In just three months, with a limited budget, we secured over 22 pieces of coverage, including the Metro, MailOnline, Huffington Post, The Sun and The Debrief. We even persuaded Hugh Fearnley-Whittingstall to mention KeepCup on The One Show. The results helped KeepCup to double sales on the previous year – contributing to diverting over 4 billion cups from landfill. The concept for Somerset Garden Day was simple: to get people across the county spending a day enjoying their gardens with family and friends. The idea had to be inclusive rather than elitist, requiring a unique message and approach. We brought Somerset Garden Day to life by establishing partnerships with local gardening experts and organisations, creating an inclusive call to action that everyone could get behind. We built a website, created a video series and commissioned a study into gardening habits to support a regional PR campaign. We also ran a social media campaign across Facebook, Instagram and Twitter, reaching an estimated 145,000 people. Hundreds took part on the day with over 70 pieces of regional media and online coverage reaching an estimated 1.5 million people. We created a strong foundation for the movement, which will go national in 2018. 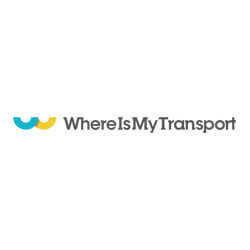 When WhereIsMyTransport (WIMT) needed a media launch for its ground-breaking transport information platform, they called on us. The challenge was set – tell a complicated technology story to multiple audiences, and encourage people to find out more about the platform. With no examples to showcase, we built a story focusing on the potential that could be unlocked through transport. We analysed transport statistics in emerging cities and developed a method to prove the potential of the platform to improve the economy in South Africa – and the potential in other countries. We then gave the story a human voice, using interviews and case studies of local commuters and transport officials. For international developer media, we focused on tech demos and news of WIMT’s successful funding round. For their influencers, we researched and approached 29 advisory group stakeholders. Results exceeded expectations – including over 20 pieces of launch coverage, our BBC Focus on Africa interview reaching 1.3 million listeners in sub-saharan Africa, and coverage with The World Bank’s transport network. All this helps WIMT drive growth and impact from their unique platform. 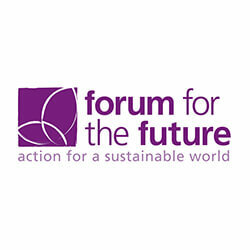 Forum for the Future came to us to launch The Living Grid – a new energy ecosystem with the potential to replace a coal-powered plant in the UK. Having already brought together corporate partners to adopt a new approach to demand-side energy consumption, they needed a compelling story that would drive more business participation in the programme through consumer media. We developed the brand architecture and honed the Living Grid story. We focused on the energy savings achieved through their pilot programme with Open Energi’s demand-side tool, used by existing organisations. From these, we could calculate the potential of the grid to change the face of the energy system. With national coverage in print, broadcast and online media, alongside a seamlessly integrated social media campaign, the launch of the Living Grid was a big success – resulting in enquires from a number of new businesses that could double the size of the initiative. 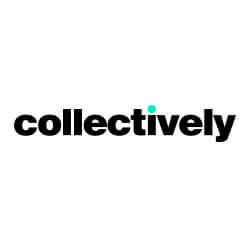 Collectively is a platform for inspiring change backed by 35 of the world’s biggest brands. They called on us to engage millennials with the energy debate surrounding COP21 in Paris. With a very short lead time of three weeks, we created a campaign concept that would speak to the audience, ‘We Got Power’, built a website, created a video with Facebook and launched an integrated digital and PR campaign. Our video was seen by 2.5 million people and the broader digital reach of the campaign was 39m, while 535,832 people engaged with the campaign action. The campaign reached 10,000 universities all over the world and 230 businesses, and four businesses changed their energy policies as a result. We got power, indeed.